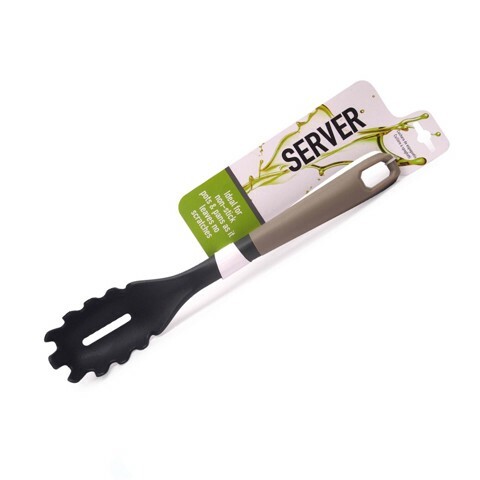 Non-Stick Spaghetti Server. 32.1 x 6 x 5.6cm. Black with Grey Handle . Nylon l PP Handle. 70.6G Packaging: Tie Card.